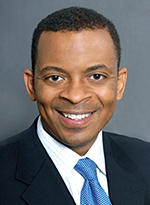 Yesterday President Obama announced his nomination of Anthony R. Foxx to replace outgoing U.S. Department of Transportation Secretary Ray LaHood. Serving as Mayor of Charlotte, N.C. since 2009, Foxx helped lead the way on several transportation initiatives in the city, including a streetcar project, expansion of the airport and extension of a light-rail line. Once confirmed by the U.S. Senate, Foxx will take the helm as Secretary of Transportation. Click here to watch a video of the nomination. Join the Mobility 21 Board of Directors and Advisory Board Members in honoring Southern California’s champions of transportation at our first-ever legislative dinner. We will roll out the red carpet to thank several of our region’s legislators for their tireless work and leadership in transportation. Contact Mobility 21 Executive Director Marnie O’Brien Primmer at mprimmer@mobility21.com or 949.288.6884 to sponsor the event. Consider making a donation of $10, $25 or $50 to the California Transportation Foundation’s scholarship in Bimla Rhinehart’s name. 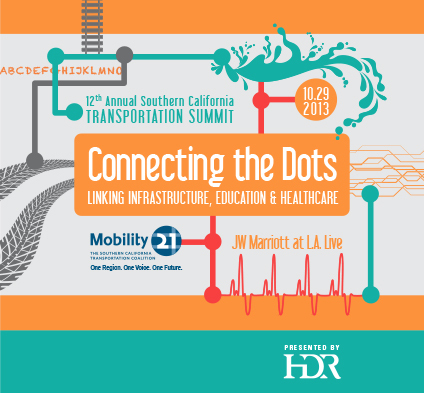 Sponsorships are selling quickly for the 12th Annual Southern California Transportation Summit on Tuesday, Oct. 29 at the JW Marriott at L.A. Live. Don’t miss out on a unique marketing opportunity for your business while helping to bring more transportation funding to Southern California. Click here to view more information about the sponsorship packages. This month Caltrans’ Kome Ajise shares what’s happening at the state level to develop a plan for California’s freight movement system, which is required under the surface transportation bill, Moving Ahead for Progress in the 21st Century (MAP-21), to be eligible for federal funding for freight movement projects. 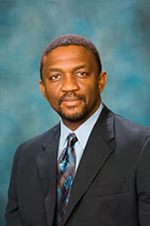 Ajise is Deputy Director of Planning and Modal Programs at Caltrans’ Headquarters in Sacramento. Mobility 21 is proud to serve on the Freight Advisory Committee to help shape this critical plan. M21: Please explain how the state’s freight plan will be developed. KA: California’s freight plan is being developed to be consistent with guidance provided by MAP-21 so that it addresses the minimum plan elements and the additional recommended elements. We will also address California-specific topics that may be beyond the scope of MAP-21. We will likely be structuring the plan to follow the MAP-21 recommended format so that California’s freight plan information can be readily incorporated into the national freight plan and so that California can clearly indicate consistency for funding eligibility. The MAP-21 guidance contains a substantial amount of direction regarding specific topics to address and data to report. We will collaborate with all stakeholders to generate the data and information necessary to complete an effective state freight plan. Therefore, core information that will be used to develop the freight plan will be gathered from regional freight plans such as produced by the Southern California Association of Governments; sub-regional freight plans such as those produced by the Gateway Cities; facility plans such as the Port of Los Angeles Master Plan; information developed by other state agencies such as the Vision for Clean Air: A Framework for Air Quality and Climate Planning produced by the California Air Resources Board; documents developed by advocacy groups such as the Clean Cargo Guide published by the Natural Resources Defense Council, as well as Caltrans-sponsored plans and studies such as the California State Rail Plan and the Air Cargo Ground Access Study. Finally, the state freight plan will be developed with the advice of the newly formed California Freight Advisory Committee. But we will also be consulting with existing committees coordinated by other organizations such as the California Trucking Association, the California Marine and Intermodal Transportation System Advisory Council, Rural Counties Task Force and others. M21: How will the input of the private sector be incorporated into the state’s freight plan? KA: The Freight Advisory Committee includes 26 nongovernmental organizations that include freight provider and freight customer businesses, advocacy groups and labor organizations. They will have direct input into the freight plan development process and plan content. We will also be posting materials on a freight plan website that will provide opportunities to give us feedback on draft documents. Freight Advisory Committee meetings will be accessible via webcast, so the private sector can listen in and provide feedback. M21: How can members of the general public stay informed about the development of the state’s freight plan? KA: The freight plan website will provide information that is available to the public. There will be planned public outreach activities to ensure ample opportunity is provided for input from the general public beyond the industry stakeholders. M21: Will this plan “sit on a shelf” after it is completed? What will be the result of all of the effort that goes into producing the state freight plan? KA: The plan most certainly will not sit on a shelf. We are developing the plan with the expectation of action to deliver vital freight projects to strengthen California’s economy in a manner that reduces impacts to the environment and communities. The proposed plan will help articulate a consensus vision for our freight movement system and how we might be able to realize that vision. The plan will be used to seek funding, to make the case for freight revenue sources, and to demonstrate to trading partners that California is continually improving our freight system which is already the most complex and technologically advanced system in the nation. M21: What can we expect from the state’s freight plan in terms of recommendations on funding sources for goods movement projects? KA: Developing new funding sources for all transportation sectors is a tremendous challenge. Our freight planning process will work with partners and stakeholders to identify all opportunities, but it’s still too early to say what the recommendations might be. However; we want to make California’s freight projects as competitive as possible for nationally available funding. We also want our freight providers to be effective competitors in the global logistics industry, bringing revenue and jobs to California. Long Beach Mayor Bob Foster speaks at the kickoff event for the Green Port Gateway rail improvement project in the Port of Long Beach. Seated, from right, are U.S. Maritime Administrator David Matsuda, California Transportation Commissioner Fran Inman and Long Beach Board of Harbor Commission President Susan E. Anderson Wise. Also speaking that day were U.S. Rep. Alan Lowenthal and J. Christopher Lytle, Port of Long Beach Executive Director. 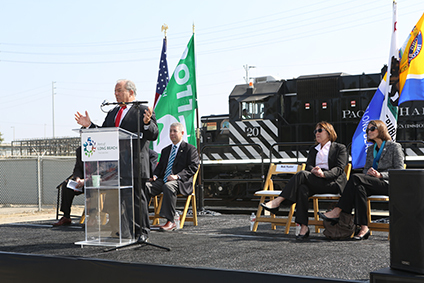 Last month officials formally launched an $84-million Port of Long Beach project to remove a railroad bottleneck and build additional on-dock rail capacity to move cargo more efficiently and sustainably. The Green Port Gateway project, funded in part with state and federal transportation dollars, is realigning a critical rail pathway to the port’s southeastern terminals and adding a rail support yard for the port’s new Middle Harbor Terminal, already under construction. The project will add a third rail line at Ocean Boulevard, helping to remove bottlenecks on the existing mainline track to allow port terminals to shift cargo from trucks to trains, which decreases local traffic congestion and air pollution. Roadwork will also be needed to reconfigure one port thoroughfare to make room for the additional rail line. Overall, about 29,000 feet of track is being added. The Port is funding the project with the help of $27 million from the state’s Proposition 1B Trade Corridor Improvement Fund, and another $17 million from the U.S. Department of Transportation’s TIGER III program (Transportation Investment Generating Economic Recovery). The construction work, awarded to Ames Construction of Corona, is generating about 340 jobs now through scheduled completion of the work in July 2014. The Green Port Gateway – the first of four rail projects already started or expected to begin in the next year to promote more on-dock rail shipments – is also part of the larger San Pedro Bay Ports Rail Enhancement Program, which involves several projects by the Port of Long Beach, the Port of Los Angeles and the Alameda Corridor Transportation Authority. The project is part of about $4.5 billion in capital improvements in progress or planned this decade at the Port of Long Beach. Some very welcome news via the proposed budget released this month by President Obama: the budget includes $130 million to help fund two of Metro’s big rail projects: the Purple Line Extension and the Regional Connector. The budget allocates $65 million to both projects. This is the first time that both projects will actually receive federal money. The funds are extremely significant because they help supplement Measure R funds for two projects that are both very expensive and need additional funds. Although Congress still must approve the budget, historically these type of funds don’t change much during budget negotiations. There’s another reason the money is important. The funds are the first payment for more federal dollars that will flow to both projects in future federal budgets via the federal New Starts program that helps local transit agencies pay for big, pricey transit improvements — such as new rail lines. Formal agreements that detail the New Starts money are expected to be signed between Metro and the Federal Transit Administration later this year. The subway will be asking for $2.3 billion in New Starts money and has a budget of $2.4 billion for its first phase to La Cienega Boulevard. The Regional Connector will be asking for $671 million in New Starts money and has a budget of $1.3 billion. Utility relocations are already underway for both projects and an exploratory shaft is being dug near Fairfax Avenue for the subway. Metro is trying to have construction underway on both projects within the next year with tunneling slated to begin in 2015. Under Metro’s current schedules, the Connector is expected to open in early 2020 and the Purple Line Extension to La Cienega Boulevard in late 2022. The Regional Connector is a 1.9-mile underground light rail project in downtown Los Angeles that will tie together the Gold Line, Blue Line and Expo Line that will allow one-seat rides for most passengers through downtown Los Angeles. The Purple Line Extension will ultimately extend the existing Purple Line subway from its current terminus at Wilshire and Western for 9.5 miles to Westwood, mostly under Wilshire Boulevard and with a swing south to serve Century City. The budget also contains some other welcome news for Metro: it contains a bond program that is part of Metro’s America Fast Forward proposal to help accelerate transit projects. But the President’s budget calls for the federal government to subsidize 28 percent of interest on bonds whereas Metro is seeking a 100 percent subsidy. The Orange County Transportation Authority (OCTA) and Caltrans will break ground on the Riverside Freeway (SR-91) Westbound Lane Widening Project on Wednesday, May 1. Together with the cities of Anaheim and Fullerton, OCTA and Caltrans will kick off construction on the third in a series of freeway improvement projects designed to increase capacity, improve operations and enhance mobility and safety on SR-91 in Orange County. Funded by Measure M and Proposition 1B, the $64-million freeway improvement project will add a new, four-mile westbound lane along a key stretch located between the Orange Freeway (SR-57) and the Santa Ana Freeway (I-5). Drivers take more than 130,000 westbound trips in that section of the freeway. The new lane will help improve the connection to regional destinations such as Cal State Fullerton, the Anaheim Medical Center and residential areas in both Anaheim and Fullerton. In addition to the new lane, construction crews will widen six bridges, realign ramps and make several operational improvements, including adding new safety barriers, drainage facilities and new striping throughout the project limits. 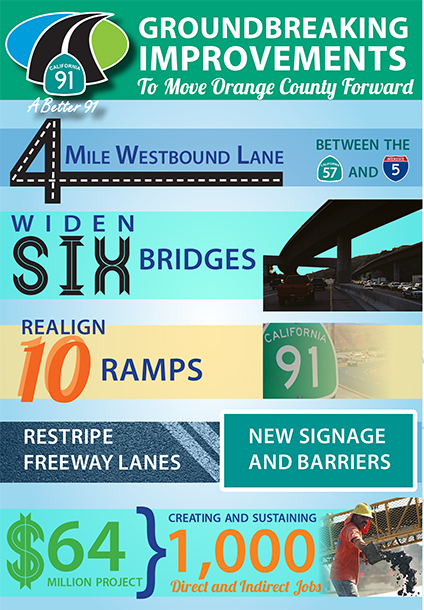 Since December 2010, OCTA and Caltrans have added 18 lane miles to the SR-91 in Orange County. When the SR-91 Westbound Lane Widening Project is completed at the end of 2015, the number of new lane miles on the 91 will increase to 22. For more information on this and other 91 projects, go towww.octa.net/better91, follow the project on Twitter at @91fwy or contact Fernando Chavarria on project’s outreach team directly at 714.560.5306. 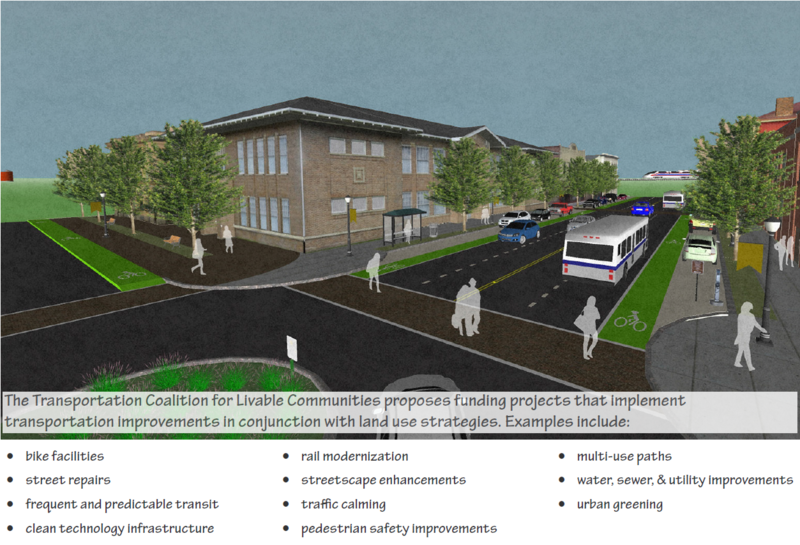 The Transportation Coalition for Livable Communities proposes allocating funds equitably to regional governments under statewide criteria to administer competitive grants to local entities — proposing combinations of investments. Click here to view full-size image. California faces a significant shortage in funds to maintain its existing transportation system, and lacks adequate funding to build an active transportation network. The Transportation Coalition for Livable Communities — which includes 16 local/regional governments and transit/transportation agencies, as well as over 50 support groups statewide — has laid out a vision for how revenues generated from California’s Assembly Bill 32 cap and trade program could re-shape California’s urban and rural landscape through integrated land use and transportation investments that build on regional Senate Bill 375 and greenhouse gas emission (GHG) reducing plans with competitive grants for local entities. The Transportation Coalition for Livable Communities has developed a program proposal for a Sustainable Communities Infrastructure Program that would provide funding for livable community investments to meet the challenges of increasing development in existing urban and developed areas to meet the requirements of Senate Bill 375. The Transportation Coalition for Livable Communities submitted a concept proposal to the California Air Resources Board for inclusion in their Cap and Trade Investment Plan, and the proposal is reflected in legislation as Assembly Bill 574 (Lowenthal). Regional allocation of funds to ensure that every region of the state receives a fair share. Using a competitive process at the regional level, under criteria developed by the state, to prioritize local project proposals that co-implement transportation investments with land use changes that most cost effectively meet the goals of the program and further stimulate innovation and flexibility at the local and regional level. Learn more about the Transportation Coalition’s proposal at www.transfunding.org or join the “Supporters Network” by emailing info@transfunding.org. 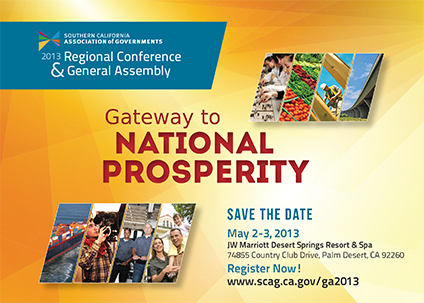 The Southern California Association of Governments (SCAG) 2013 Regional Conference & General Assembly is May 2–3 at the JW Marriott in Palm Desert. This year’s conference, “Gateway to National Prosperity,” will focus on job growth, the economy and working together to build a sustainable region. The second annual Inland Empire Quality of Life Summit is a public forum to lay out priorities for the Inland Empire’s 21st Century economy and will feature keynote speaker Kareem Abdul-Jabbar. 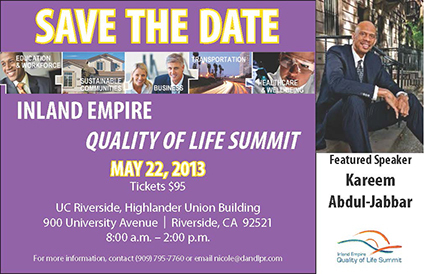 On May 22 at the University of California Riverside, the Inland Empire Economic Partnership will present the 2nd Annual Inland Empire Quality of Life Summit. The summit is a vehicle for bringing together the area’s business, transportation, healthcare, sustainability and education leaders to discuss how their work interrelates, and what needs to be done to jointly create solutions for the issues that confront San Bernardino and Riverside counties. 1230 J Street, Sacramento, Calif.
CTF is a statewide not-for-profit organization concentrating in helping the transportation industry through worker assistance, memorial funds, scholarships and career development. ACEC-LA: Who’s Afraid of Indirect Cost Rates?